In the waning days of the Bush presidency while the domestic press corps was preoccupied with the impending inauguration of his successor, the White House effectively sneaked through a major, groundbreaking directive on the Arctic. What little was reported on the matter at the time and since – and it has been little, readers can attempt a Bush + Arctic hunt on any major search engine – was perfunctory and provided an innocuous gloss to a deadly serious initiative. The subject is the National Security Presidential Directive 66 of January 12, 2009, the contents of which will be detailed shortly and will be demonstrated to contrast starkly with what scant coverage was accorded it, such as items bearing titles like “White House Directive Guides Policy on Arctic” from the Washington Post and “Bush issues U.S. policy on Arctic energy supplies” from Reuters. 1. The United States has broad and fundamental national security interests in the Arctic region and is prepared to operate either independently or in conjunction with other states to safeguard these interests. These interests include such matters as missile defense and early warning; deployment of sea and air systems for strategic sealift, strategic deterrence, maritime presence, and maritime security operations; and ensuring freedom of navigation and overflight. 2. The United States also has fundamental homeland security interests…. Is the old media sustaining the old politics? News and analysis with NYU journalism professor and PressThink blogger Jay Rosen and political journalist and Salon.com blogger Glenn Greenwald. via Bill Moyers Journal . Watch & Listen | PBS. As Abraham Lincoln’s bicentennial birthday approaches, Bill Moyers sits down with historian and Lincoln biographer Eric Foner to discuss the legacy and the legend of America’s most studied president. Bill Moyers reflects on the Lincoln legacy. We are willing to talk to Iran, and to offer a very clear choice: continue down your current course and there will be pressure and isolation; abandon your illicit nuclear program and support for terrorism and there will be meaningful incentives. Second, we will strive to act preventively, not preemptively to avoid wherever possible a choice of last resort between the risks of war and the dangers of inaction. Due to a death threat against monetary reform advocate Richard C. Cook, a Town Hall meeting scheduled to be held on February 27, 2009, as part of President Barack Obama’s “Organizing for Change” initiative, has been canceled. Cook had been asked to speak at the meeting and present his program called “Bailout for the People” that he has been advocating as a solution to the economic crisis. The meeting had been organized by New York City activists to provide Cook a forum at a time when the Obama/Biden administration is soliciting ideas to address the deepening recession where over 1,500,000 people have lost their jobs in the last three months. Over the next several weeks, hundreds of Economic Recovery Meetings will be held around the country leading up to public hearings by Vice President Joe Biden’s economic recovery task force. Cook has written prolifically on economic and monetary reform since retiring from the federal government as a Treasury Department analyst in 2007. During his 32-year government career he also worked for NASA and the Carter White House. Upon retirement he published a book on the space shuttle Challenger disaster entitled Challenger Revealed. 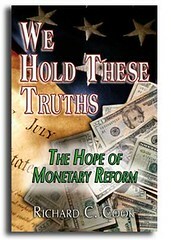 More recently, Tendril Press has published his book, We Hold These Truths: The Hope of Monetary Reform. Cook’s proposals are based on what he calls “Dividend Economics.” He cites as an example the annual citizens’ stipend under the Alaska Permanent Fund. Through what he is calling the “Cook Plan,” he is advocating a tax-free per capita payment of $1,000 per month through vouchers to be used for the necessities of life such as housing, food, and transportation. The vouchers, once redeemed, would be used to capitalize a new national network of community savings banks that would lend at low interest rates to revitalize local and regional economies. Despite the threat, Cook spoke at another Organizing for Change meeting in Takoma Park, Maryland, on Saturday February 7. On February 27th, when the Town Hall meeting in New York had been scheduled, he plans to keep his appointment that afternoon to speak at the 8th Congress of the U.S. Basic Income Guarantee Network/Annual Conference of the Eastern Economic Association. At this conference he will present a paper entitled: “Bailout for the People: Dividend Economics and the Basic Income Guarantee.” Further details, along with a downloadable version of the paper, are available at his new website at www.richardccook.com. Is economic despair the vehicle for totalitarianism? Plummeting unemployment rates mark this economic crisis around the nation which is resulting in a political crisis on Capitol Hill, as Democrats and the GOP debate the stimulus. Some analysts say that this economic despair is creating a vehicle towards totalitarianism, which was evident during the Great Depression. But during that depression, the nation had strong labor unions and a vibrant independent press. Without those traditional tools, what might we face in the coming years? Chris Hedges is the author of American Fascists: the Christian Right and the War on America, and a Pulitzer-prize winning journalist. 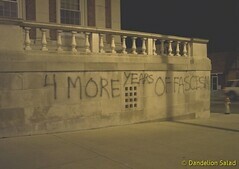 He is pessimistic about he says is a growing movement towards fascism in the US. The Obama administration reached a tentative agreement Friday with a group of Senate Republicans and conservative Democrats to cut the planned economic stimulus package by tens of billions of dollars, paving the way for the Senate’s passage of the legislation over the weekend. Floor debate began Friday evening on a measure to cut $110 billion in spending from the bill, reducing the measure to a total of $780 billion. The nature of the “compromise” agreement is best illustrated by considering the political physiognomy of the five senators who negotiated it. 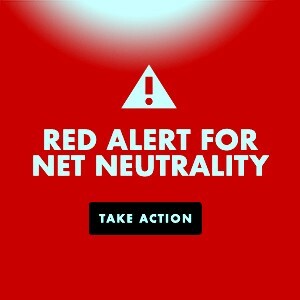 They include three Republicans—Susan Collins and Olympia Snowe of Maine and Arlen Specter of Pennsylvania—Senator Ben Nelson of Nebraska, the most conservative member of the Democratic caucus, and independent Joseph Lieberman of Connecticut, an all-out supporter of the war in Iraq who was one of the most vitriolic supporters of defeated Republican presidential candidate John McCain in the 2008 elections. via Senate agrees to pass reduced version of Obama “stimulus” plan. But Obama took an aggressive stance towards China even on the campaign trail, including the accusations of “currency manipulation,” “violating intellectual property rights,” and “devaluing their goods.” Of course the average American cares nothing about these types of crimes, nor should they. Some U.S. corporations, however, care very much about such things, as their profits are threatened by China’s rise. U.S. politicians looking for a good scapegoat also aim their fire at China, so they themselves can pretend to do something while continuing to do nothing of substance, aside from using US tax dollars to feed the money-hungry banks. Obama is now following through with his promise to “aggressively confront China,” and the implications are profound. It is no exaggeration to say that the U.S.-China economic relationship, which is central to the functioning of the larger world economy, is already in tatters. This precarious partnership was dysfunctional from the beginning: China was to build the world’s products and lend money to the U.S. so that these products would then be purchased. Such an agreement can work in the short run but is based largely on colossal U.S. debt, the hyper-exploitation of Chinese workers, and the de-industrialization of the U.S. It was not meant to last, nor could it. Bush worked madly to maintain good relations with the Chinese, brushing off demands of Republicans and Democrats alike to go on the attack.